We’re a little late to the party on this one, finally sitting down to watch Disney’s live action remake of Beauty and the Beast almost a full month after its UK release. Still, even without our patronage, it’s been a rip-roaring success, and so we’re able to pick from a plethora of performance times at our local Cineworld, despite the passage of time. And it’s easy to see why this film has been so well-received. It’s lovely. Emma Watson is a perfect Belle for the modern age, conferring a sense of agency and autonomy without undermining the source material. And the CGI animations are just so very Disney – cheeky and cute and oozing personality. Sure, there’s an enchanted castle full of emotional manipulation here, but would we have it any other way? I can’t compare this new version to the much-loved cartoon, because – gasp! – I’ve never seen the earlier incarnation of the tale. Philip tells me that it’s pretty much a frame-by-frame copy, with only subtle changes applied to reflect twenty-first century ideologies. For example, the much-vaunted ‘openly gay character’ turns out to be Le Fou, whose homosexuality is a lot less ‘open’ than I’d imagined from the on-line fervour it elicited (admiration for Gaston, and a flirtatious glance during the finale dance). I guess it’s a step in the right direction, but it seems unnecessarily restrained. This is 2017. LGBTQ characters don’t need to be so hidden and covert, do they? Still, even baby steps move us forward – and this is a film with a good heart. Dan Stevens imbues the Beast with a deep humanity; Luke Evans relishes in denying Gaston has a heart at all. Both male leads are played with real aplomb, nimbly treading the fine line between stock-character and depth. I’m particularly fond of Kevin Kline’s bumbling Maurice; he’s just so incredibly appealing despite his neediness – no wonder Belle feels so responsible for him. 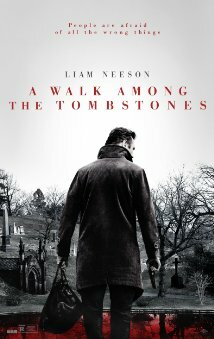 The music is great – memorable and catchy and beautifully performed (is there anything Watson can’t do?). And the choreography of the crowd scenes is truly breathtaking. This is Disney doing what Disney does, with such confidence and assurance that success was always inevitable. 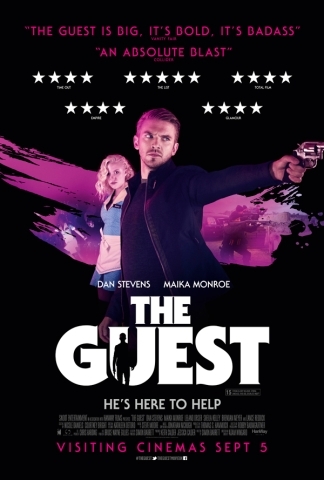 After watching The Guest, I’m convinced of one thing. Dan Stevens is destined to be a big movie star – and this is his ‘breakout’ film. About as far from Downtown Abbey as he could reasonably go, it showcases his handsome, charismatic charms to the max and he has a lot of fun with the role. The fact that it isn’t really that good a film barely seems to matter. It’s in these early stretches where the film is at its most convincing, though director Adam Wingard (who gave us the queasily watchable You’re Next) needs to learn about pace – he often resorts to disguising the story’s slower-moving sections by dolloping swathes of electronic music over the top of the action. As the film galumphs shamelessly into its final third, it deteriorates into a risible bloodbath and as the body count rises, so all its hard-earned credibility goes straight out of the nearest window. Lance Reddick as ‘Major Carver,’ has the thankless task of steaming in like Basil Exposition, to explain exactly who ‘David’ is, before heading up a climactic face-off at a Halloween-themed party that looks like it’s stepped out of a Tobe Hooper movie. OK, this isn’t going to win any prizes for originality… in fact, it’s not going to win any prizes, full stop. If it’s anything, it’s Stevens’ calling card to Hollywood, which suggests in no uncertain terms, that given bigger and better vehicles than this, he’s likely to shine. Watch this space.